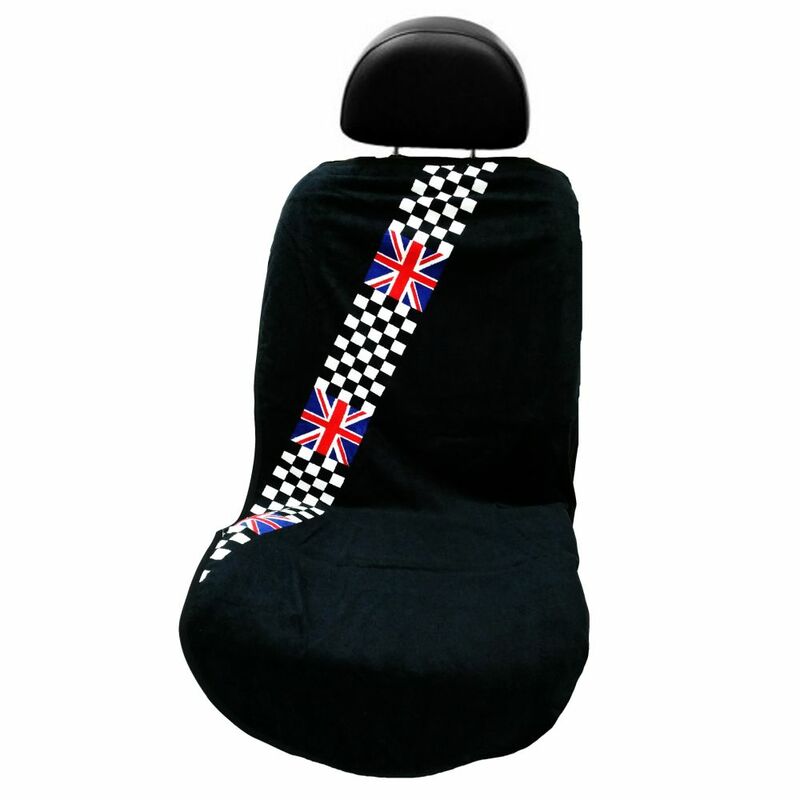 Seat Armour Black Towel Seat Cover with British Checkered Flag (SA100MINCHCK), Own a Mini Cooper or want to show off your loyalty to the British Flag? 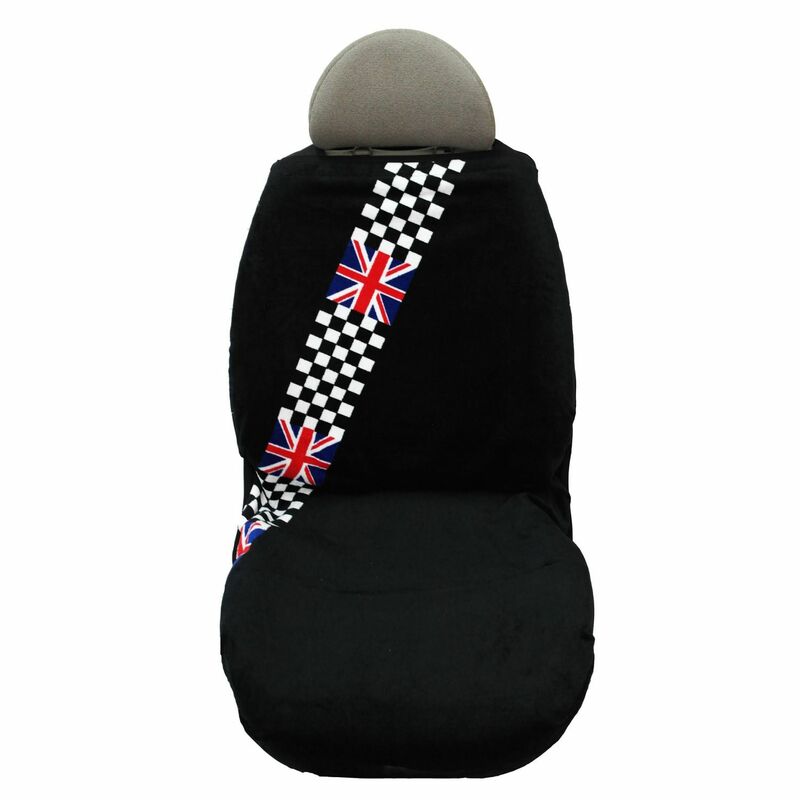 This Seat Armour Seat Cover with a mini black checkered flag for your Mini Cooper can make you do just that! As your car comes with original upholstery that cannot be replaced frequently, it is essential that you keep it clean and free from normal wear and tear. Keep your car upholstery looking brand new and free from damaging elements by using superior quality Car Seat Cover from Seat Armour. 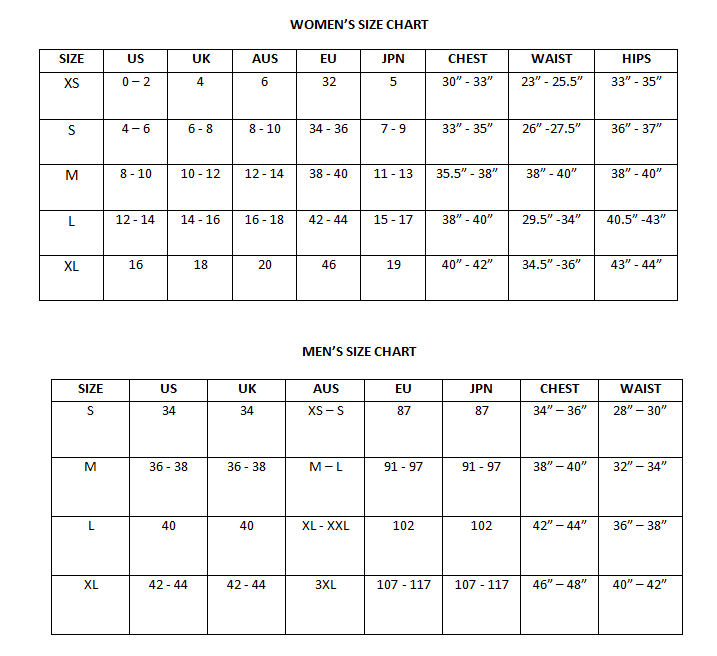 Not only Seat Cover but also doubles as the ultimate car seat towel that can be used everywhere you go.